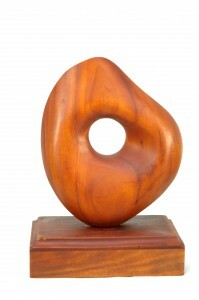 The gallery is owned and operated by a husband and wife team-Courtney and Carrolle Devonish. Courtney is an English trained primary teacher, although he came from a famous Barbadian family of potters his interest i n art began as a student teacher; and he went on to take Art and Crafts as is major in Teachers college. Courtney is an Internationally known sculptor and ceramic artist; Carrolle is a bead artist. The gallery first opened its doors in 1969 in Barbados, the birth place of Courtney; During the seventies and mid eighties the gallery expanded to 3 locations around the Island; plus a ceramics production workshop with as much as 6 staff. 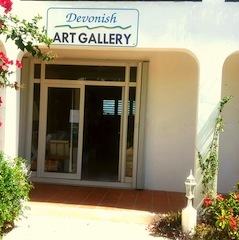 1988 saw the opening of the first art gallery and gift shop in Anguilla The gallery has occupied 5 different locations between 1988 and today where it is located in the west end building that also houses the World Art and Antiques gallery. The gallery is the showroom for Courtney’s wood sculptures and fine crafts of wood and ceramics, along with Carrolle’s bead jewelry. They both create work of the highest quality and has participated in International exhibitions in North America and Europe. Three international heads of state and many other dignitaries have been presented with Courtney’s work. One of his sculptures sits in the central bank building in Barbados and one in the social security building in Anguilla and in other public buildings in Barbados and Anguilla. There are many works of art in private collections around the world by Courtney. The first solo exhibition was held at the Coventry Art Gallery and Museum IN 1968, followed by others in London Leicester,Canada, USA, Italy and the Caribbean. The gallery represents a very select group of Caribbean and International artists painters along with a collection of reproduction antique maps of the west indies and other Caribbean Islands. The strictly tourist market demands a selection of gifts items included the popular hand-painted Xmas balls magnets, wraps, Anguilla caps. Hand painted bags and purses. The high quality and special collection of prints and gift items makes the gallery a popular stop for repeat guests, some of them going back as far as 25 years ago, now the children are continuing to visit and express their love for the gallery; past and present. If you have never visited the gallery; it is well worth the visit; until then you can view our website.